Are you wondering if your child’s brushing habits are enough to prevent tooth decay and other dental problems? It’s good to be concerned about your child’s oral hygiene, but the good news is you and your child can do a lot to prevent unnecessary dental problems and the pain associated with them. Drs. Allan and Jenny Kwon at Prestige Dental Network in East Hartford, CT, want to share the facts about what your child’s oral hygiene habits should look like. The truth is decay can affect even very small children. The minute the first tooth begins to erupt your child is at risk for tooth decay. 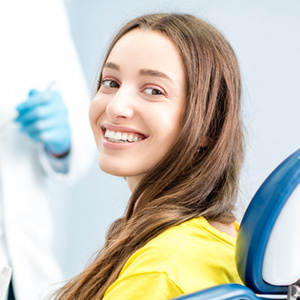 The first visit to your dentist is a vital step in preventing dental problems and your child’s first dental visit should be before they are 1 year old. Your child should be taught to brush at an early age. There are many handy kid-friendly toothbrushes available, including sonic and electric toothbrushes. You should teach your child to brush after meals and before bedtime, using a gentle, circular motion to clean all the surfaces of the teeth and gently along the gumline. Always use a toothpaste containing fluoride to strengthen tooth enamel, but instruct your child not to swallow the toothpaste. Brushing doesn’t clean between the teeth; that’s where flossing comes in. There are many flossing tools available in kid-friendly shapes to help your child want to floss. You can teach your child to begin to floss at around the age of 4, and your child should be flossing independently at around the age of 8. Have your child wrap the floss around the widest part of the tooth surface in between each tooth. This wrapping action ensures the floss stays against the tooth surface. One of the most important things you can do as a parent is to set a good example for your child by brushing and flossing too. Make sure your child sees you practicing good oral hygiene habits, and your child will want to do what you do. Your dentist and dental hygienist want to partner with you to help you care for your child’s smile. Get started by calling Drs. Allan and Jenny Kwon at Prestige Dental Network in East Hartford, CT. Call today!